The Florida Cannabis Coalition hired Lasting Blueprint to provide event video production services for their conference. 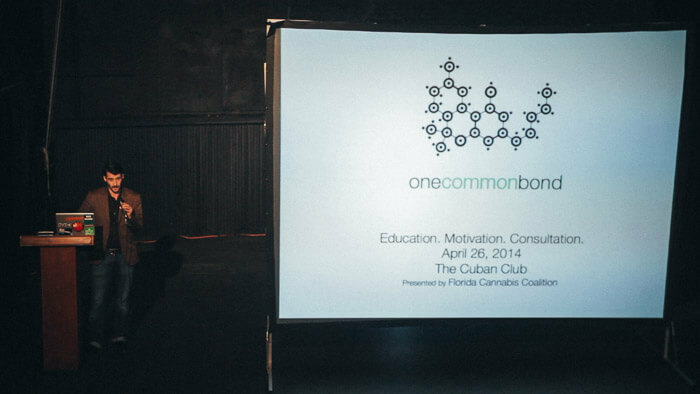 The April 26, 2014 inaugural One Common Bond conference was held in Tampa, Florida. It was an all day Saturday business and career event, hosted by Pete Sessa (COO) and Tom Quigley (CEO) at Ybor City’s premiere historic event venue The Cuban Club, which brought in many guest experts in the legalization of marijuana industry to educate, motivation, and consult attendees of the conference on different a aspects of the Florida Right to Medical Marijuana Initiative, Amendment 2, which is up for a voting November 4, 2014. The marijuana business conference attendees had the opportunity to socialize with the guest speakers as well as meet investors, attorneys, and business owners. Learn more about our conference video production services. We just announced June 6 at the caribe royal. Friday event. Spend weekend in Orlando. We have special guests.